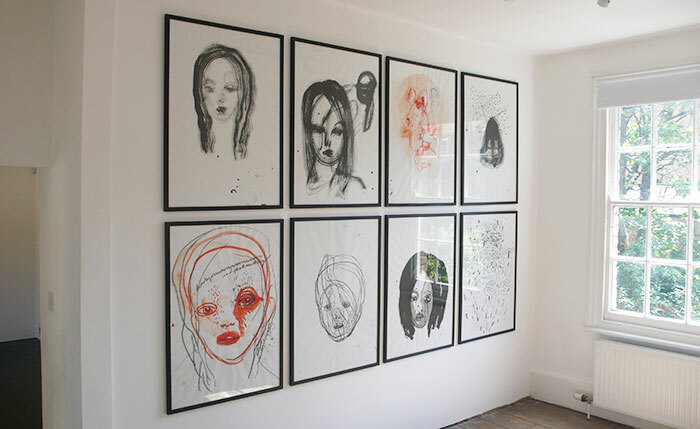 Produced on her kitchen table while her children slept, Beatrice Brown’s drawings are a reversal of such dictums as ‘the pram in the hallway is the enemy of creativity’ and ‘necessity is the mother of all invention’. They manifest an economy of line and a sureness of translation which stems from her inner world. This authority of her expression is made possible through her premising of intuition over intellect and has been likened, in the past, to a lineage of ‘Ecstatic Visionaries’. For example, the 19th Century French Nun, St Thérèse of Lisieux, who advocated for the radically transcendent powers of a small, local, domestic life, which she termed the ‘Little Way’. Lisieux explored parallel lives through the transformative powers of her simple existence. In accordance with the experiences of Lisieux, Brown’s drawings are transformed by the context of the digital realm, the ‘post-truth’ world of social media. Their immediacy speaks directly to the esoteric side to each of us. 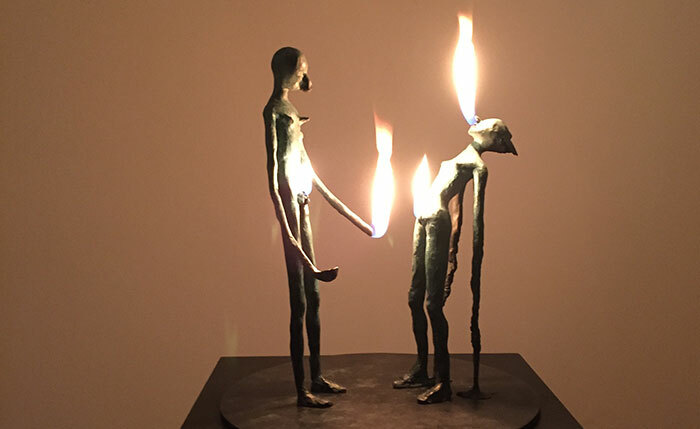 The works in this exhibition bear witness to inner visions that Brown has had from as early as six years old, when she transposed her inner turmoil and confusion onto seeing the ‘Fire Child’, a character that spoke to her from within the flames of a hearth. The sheer compressed power of the sculptural work is analogous to the potency of material transformation in alchemy, of the Jungian Nigredo, the black beginning – The Nothing Series. Known for exhibiting Francis Bacon in Moscow, Genesis P-Orridge and Grayson Perry, James Birch has curated Beatrice Brown’s debut solo. 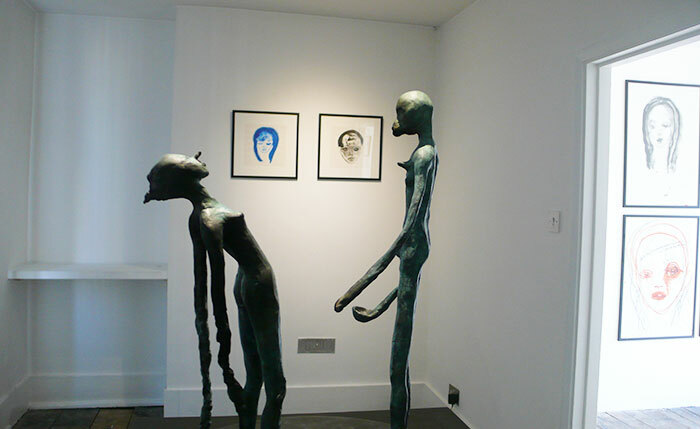 Gallery 46 in Whitechapel presents a new collection of drawings which also includes three small-scale bronze sculptures. Birch describes Brown’s works on paper as having ‘the freshness of sliding down the razor blade of life’.